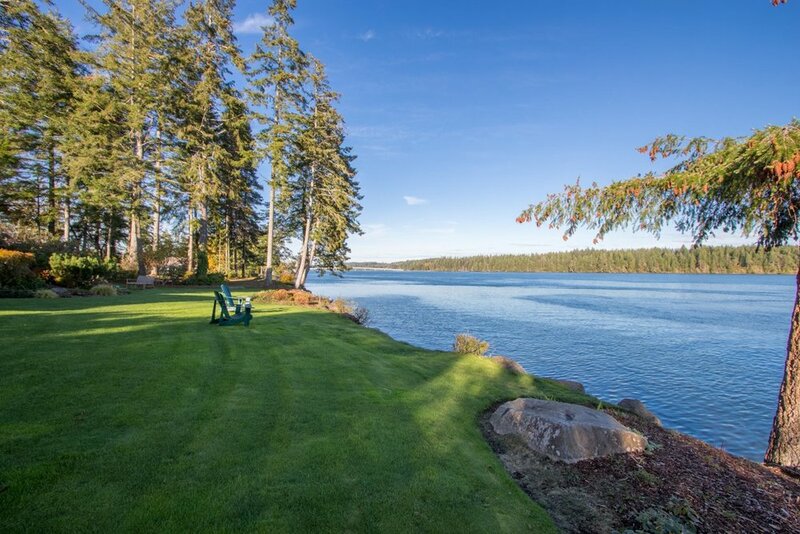 The breathtaking views from every room include luscious greenery quintessential to the Pacific Northwest, Pickering Passage, and the tranquil islands across the water. 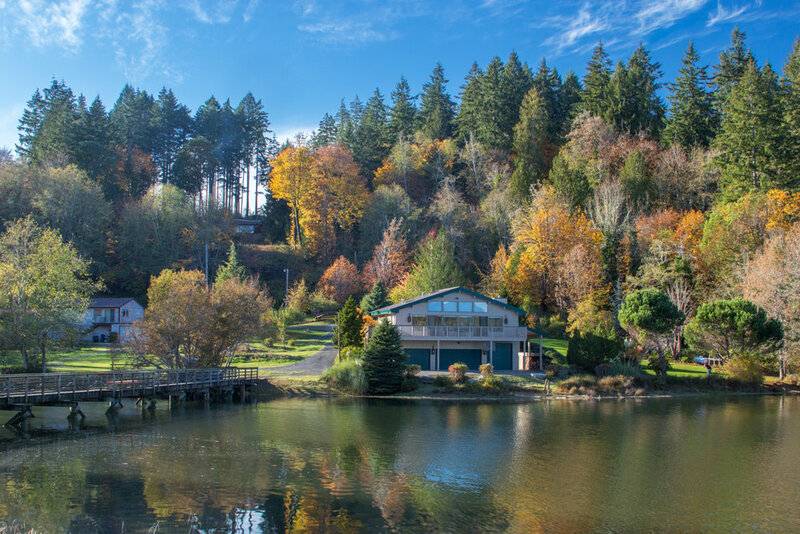 Across the quaint bridge on this large estate is a 2 bedroom, 1 bathroom Lindal Cedar guest lodge with separate driveway. The property features a 4 car garage and carport that can accommodate a boat and RV. 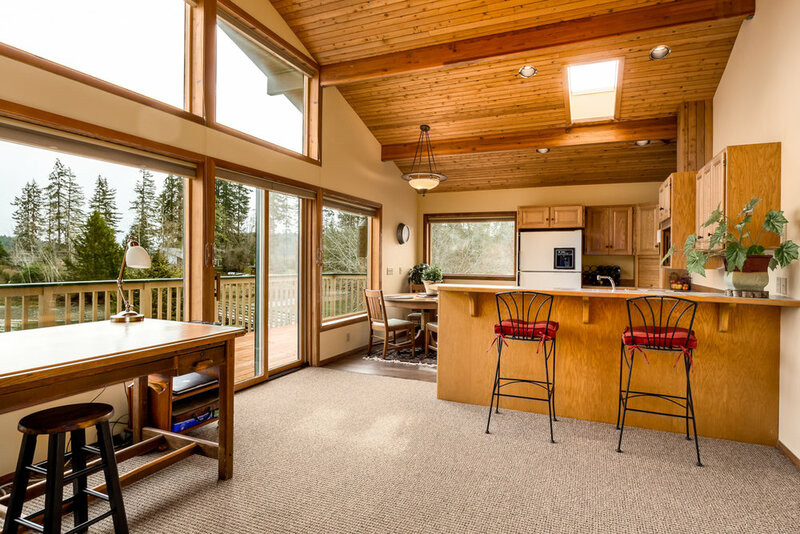 The covered decks, slate patios, outdoor fireplaces, hot tub, and pizza oven are perfect for outdoor entertaining. 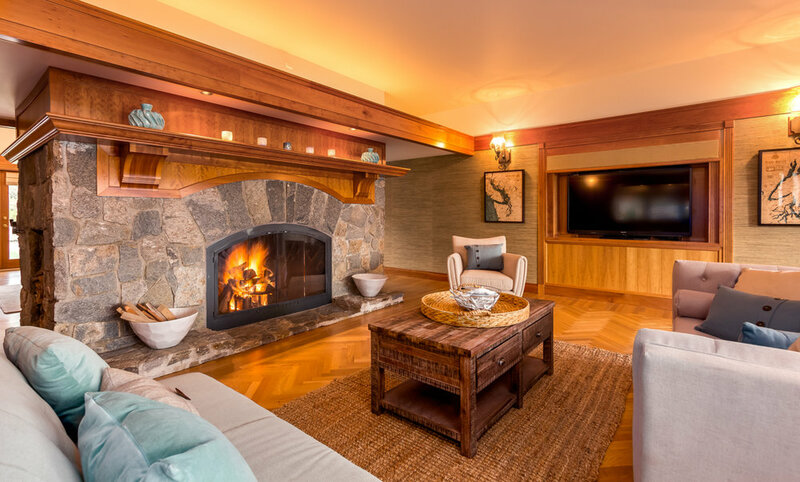 Incredible custom craftsmanship including luxurious Master Suite and bath, "His & Hers" private dens, 5 fireplaces, and in-home elevator. Pickering Passage is an amazing lifestyle property featuring a peaceful and private getaway with lush gardens and trails. Relax in style as many outdoor activities and water sports await you. This luxury retreat offers easy access to the airport and major cities. More convenience than the San Jaun's or Hood Canal...Come explore what the South Sound and Pickering Passage have to offer. 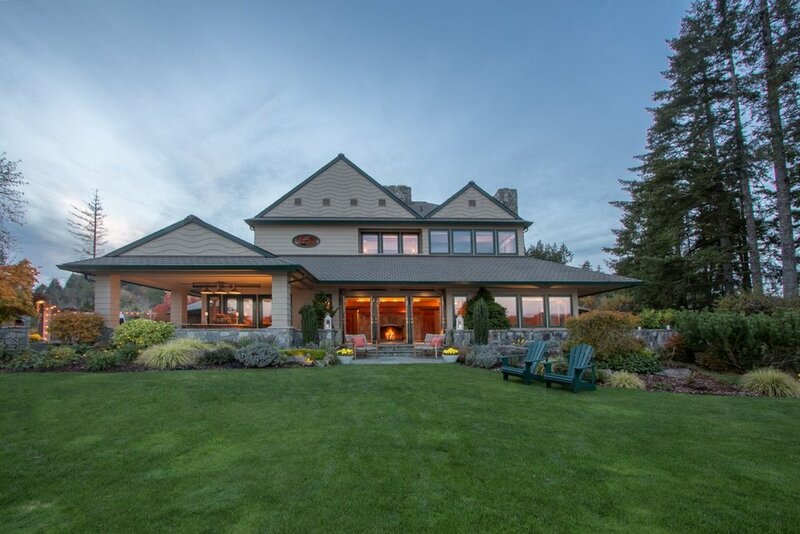 Rare, one-of-a-kind estate located on the pristine waters of South Puget Sound. Two dwellings occupy the site: the Main House (built in 1993), a 4,291 sqft uniquely custom home and the 1,075 sqft guest house (built in 1991) – a Lindal Cedar home with four bay garage. 975 lineal feet (high tide) of low bank salt water frontage abutting 4.31 acres of land. Tidelands are private and owned by homeowner. Each house is served by individual water wells. Custom Woodwork: solid/parquet oak floors, cherry millwork, and cedar ceilings. Extensive indoor and outdoor custom stone masonry. An elevator and intercom for accessibility. Also, a hard-wired security system for safety. Surround-sound home theater with 60” HD TV plus 10 zones of interior & and exterior sound, Hi-speed internet and cable available. Office den with built-in cabinetry, bookcase, wet bar, fireplace and stunning views. 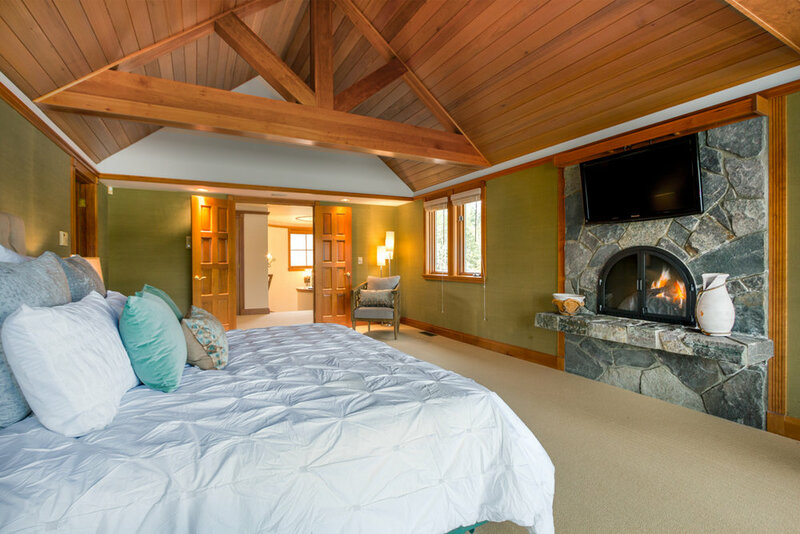 Deluxe Master Suite features very spacious Master Bath, large walk-in closet, vaulted cedar ceilings, fireplace, and separate sitting room with a fireplace. Luxurious Mater Bath with double sink, vanity, separate jetted tub, enclosed tiled shower, vaulted ceilings, lots of natural light. Updated Kitchen featuring granite countertops, solid wood cabinetry, Sub-Zero double door refrigerator/freezer, Miele induction stovetop, double ovens, dishwasher, microwave, wine rack, skylights, vaulted ceiling, window seat, and a large walk-in pantry. Large mud/utility room with new Bosch washer and dryer and detached ¾ bath. Magnificent covered view decks, slate and stone patios, 2 outdoor fireplaces, outdoor custom stone pizza oven, hot tub, and covered built-in outdoor granite topped dining table with heated lamps. Two new Carrier, variable speed, high efficiency heat pumps with wi-fi thermostats. Lindal Cedar Home with 2 bedrooms, 1 bath, open dining/kitchen/living room floor plan, vaulted ceilings, skylights, Avalon wood stove, wraparound deck and great views. New wood and carpet flooring throughout and new window treatments. Large 4 car garage and separate carport. Able to accommodate boats and RVs. Whimsical private bridge to connect both properties. Ideal for walking or golf cart. Separate driveway entrances to both houses. The main house has security gate. Secluded private forest with groomed trails. 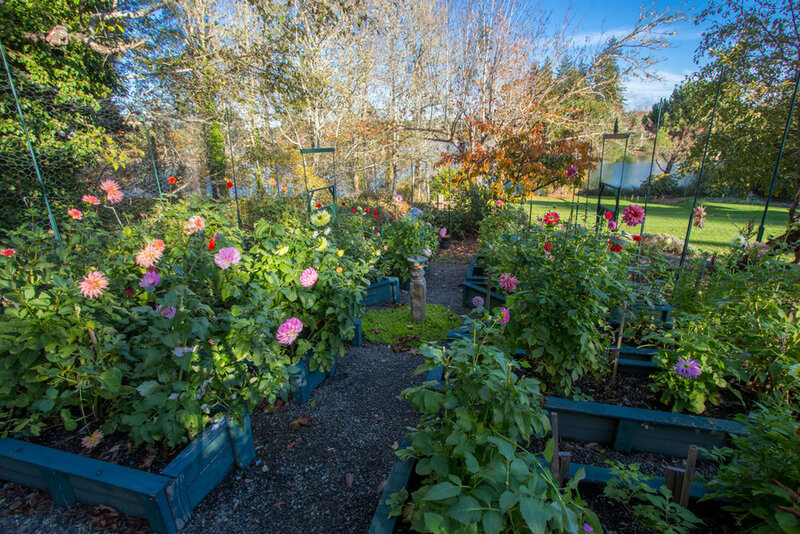 Lush fenced gardening beds, quaint greenhouse, herb beds, and many old growth fruit trees. Tidal shellfish rights to local oysters, clams, and mussels. 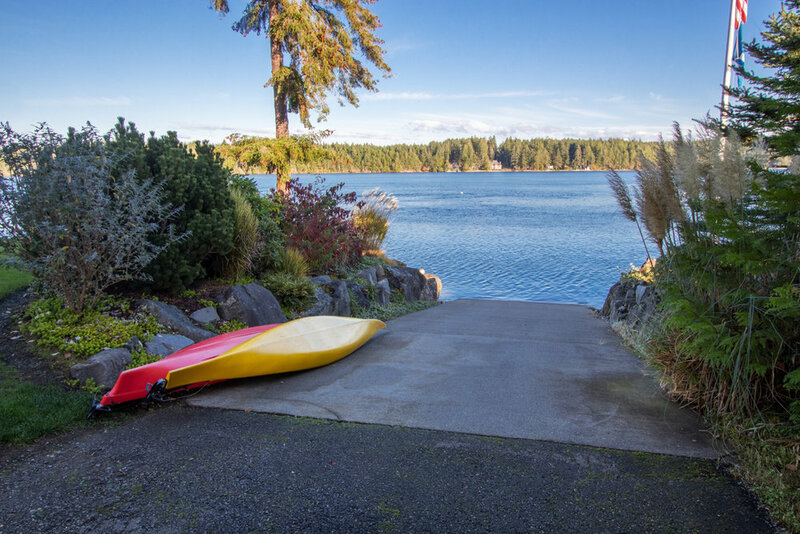 Exclusive concrete boat ramp and deep water, year around boat mooring buoy/anchor system. Outdoor lighting and irrigation system.